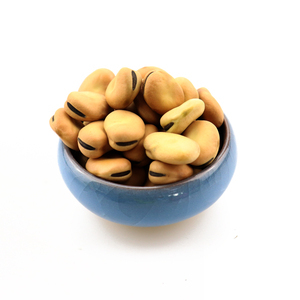 Organic New crop dry broad beans Product name Organic New crop dry broad beans Place of origin Gansu of China Year of production New crop Size 40-60pcs/100g0g Moisture 13% max Admixture 1 %max Imperfection 1%max Packing 25 kg or 50 kg pp bag Payment T/T L/C D/P Delivery time Within 15 days after receipt of the depoist Certificates Quality certificate issued by CQC Certificate of organic Shipping By sea Product details It lived in natural farming, follow the natural original, without the use of chemical fertilizers and pesticides, so it called green food, please be rest to buy it. 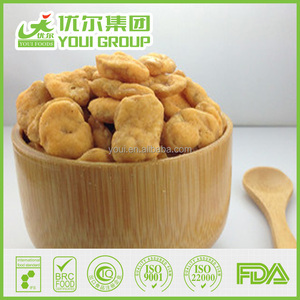 founded in 2006, is registered by the industrial and commercial bureau of shandong province science and technology innovative agricultural company,as the provincial key high-tech enterprises in shandong provice,the industrialization of agriculture leading enterprises, the specialty is engaged in the high protein soybean(NON-GMO), black bean, green beans, mung beans, white beans, kidney beans varieties such as research and development, organic farming ,precise processing,global sales. ,has passed ISO9001 international quality certification,ISO14001 international environmental certification, the European Union, the organic product certification , the organic product certification, the United States in the organic product certification and green China organic product certification, is the world's largest soy products professional supplier. However, sometime it could be adjusted according to customer's requirements. Favorable Comment We build the business cooperation with this customer for a long time . or it is 15-20 days if the goods are not in stock, it is according to quantity. 3.Have passed ISO & HALAL certificate 4. MOQ: 1 &times; 20GP 5.Produce as customer label and carton design 6. Delivery Time: 25days after receiving prepayment and order detail. We are identified as &ldquo; Demonstration Base of Agricultural Science and Technology Innovation&rdquo; and &ldquo; Model Agricultural Scientific and Technological Enterprise &ldquo; in Hubei province. We have the first-class equipments and production techniques,such as automatic filling machine, automatic pre-cooking machine. Broad bean could be fried, causing the skin to split open, and then salted or spiced to be produced as a popular, savory, crunchy snack. It do es not mean that we do not accept any other payment terms. We can offer other payment terms based on your requirments after disscussed and agreed. 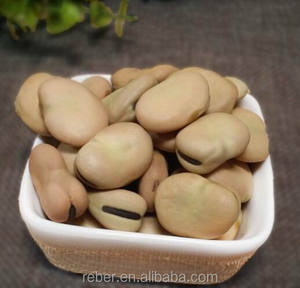 Peeled dry broad beans Product name Peeled dry broad beans Place of origin Gansu of China Year of production New crop Size 40-60pcs/100g0g Moisture 13% max Admixture 1 %max Imperfection 1%max Packing 25 kg or 50 kg pp bag Payment T/T L/C D/P Delivery time Within 15 days after receipt of the depoist Certificates Quality certificate issued by CQC Certificate of organic Shipping By sea Product details It lived in natural farming, follow the natural original, without the use of chemical fertilizers and pesticides, so it called green food, please be rest to buy it. ,Ltd founded in 2006, is registered by the industrial and commercial bureau of shandong province science and technology innovative agricultural company,as the provincial key high-tech enterprises in shandong provice,the industrialization of agriculture leading enterprises, the specialty is engaged in the high protein soybean(NON-GMO), black bean, green beans, mung beans, white beans, kidney beans varieties such as research and development, organic farming ,precise processing,global sales. ,has passed ISO9001 international quality certification,ISO14001 international environmental certification, the European Union, the organic product certification , the organic product certification, the United States in the organic product certification and green China organic product certification, is the world's largest soy products professional supplier. 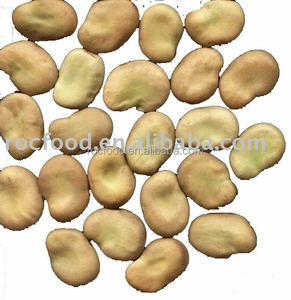 Golden Supplier of peeled dry broad bean Packaging & Shipping 1.Packing:as your request 2.Port:China Main Port 3.Delivery time: about 7-15 days after receipt of deposit payment 4.Payment Terms:prefer 30% deposit and 70% rest by T/T before shipment or L/C We Alchemy Food is large supplier in China, with over 15 years experience for export production, strict quality inspection, fast delivery, small MOQ accept, very fair price, exported to many countries from EU, Mid-east, Asia, Oceania, America. Trade Show Our customer Contact Information Contact person: Cheryl (Sales manager) Henan Alchemy Food Co. ,Ltd Email: renee@ Mobile/ Whatsapp/Wechat : +8618736051516 Skype: alchemy. 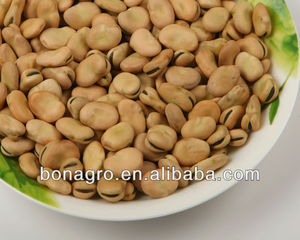 Alibaba.com offers 895 dry broad beans products. About 13% of these are broad beans, 5% are canned beans, and 4% are canned vegetables. 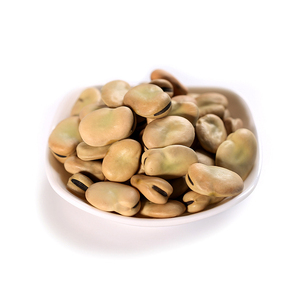 A wide variety of dry broad beans options are available to you, such as free samples, paid samples. 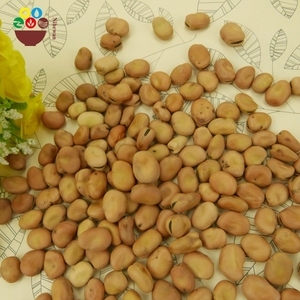 There are 895 dry broad beans suppliers, mainly located in Asia. 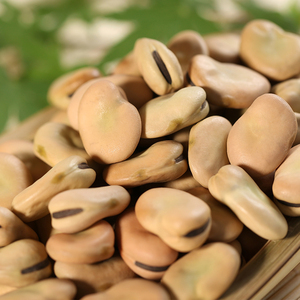 The top supplying country is China (Mainland), which supply 100% of dry broad beans respectively. 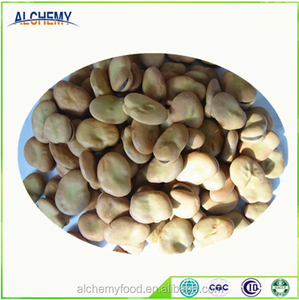 Dry broad beans products are most popular in North America, Africa, and Domestic Market. You can ensure product safety by selecting from certified suppliers, including 170 with ISO9001, 161 with HACCP, and 123 with Other certification.